Paul Pogba was recently signed by Manchester United for a world record fee of €105m from Serie A champions Juventus. After a long month of negotiations, Pogba decided to go with his mother’s advice and seal the £89m deal with the English giants. Pogba compared his stint in the Serie A as a holiday in an interview with MUTV. 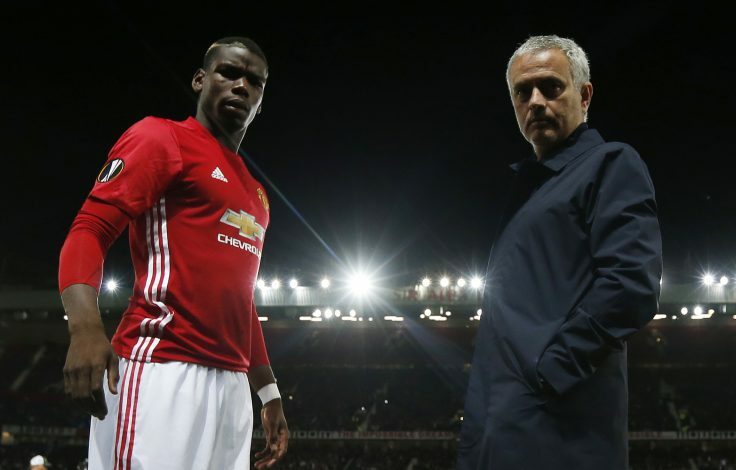 However, Pogba didn’t have a strong start to the season, and was ridiculed and criticised by rival fans and pundits alike. Over the last few games, however, Pogba has shown that he is slowly settling, with some good performances. He even got his first Manchester United goal against the 2015-16 Premier League champions Leicester City last weekend. Manchester United had to settle for a draw in their recent Premier League match against 19th-placed Stoke City on Sunday. The Red Devils created a lot of chances, but were pretty wasteful throughout the game. Pogba’s performance against the Potters was better than average. He had a 91% passing accuracy, took 6 shots, created 4 chances, won 3 aerial duels and made 2 take-ons. The France international had some really good stats against Leicester City too. He had made 99 passes with a 87% completion rate, whilst recovering the ball from the opposition 6 times, creating 3 chances and scoring 1 goal.